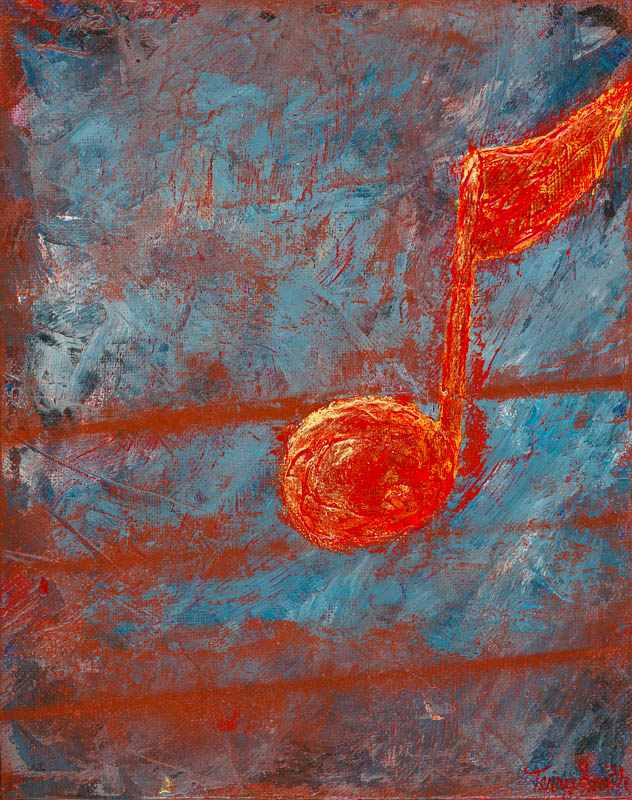 Red Notes on a Sea of Blues is part of an ongoing body of work based on music notes. 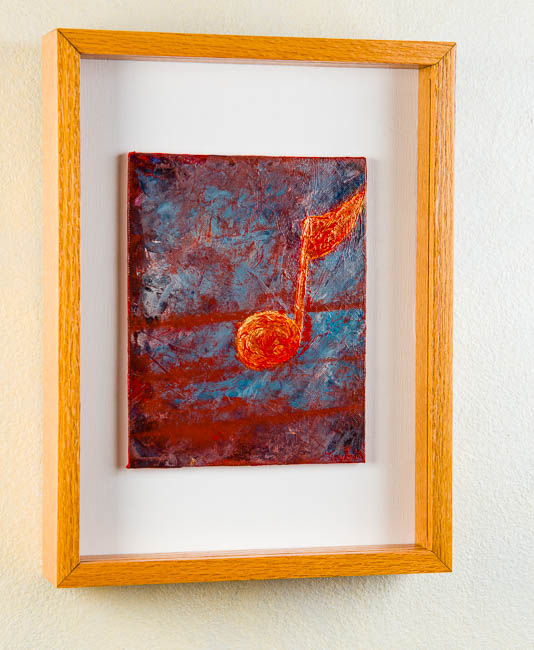 This series started several years ago when I began creating illustrations with music notes, and now I’m producing a series of paintings on the theme. This is an 10″ x 8″ acrylic painting on canvas panel mounted on wooden board and framed in a hand-made, solid oak, shadow-box frame with UV-protecting Plexiglas. The frame was built by me and my dad many years before. 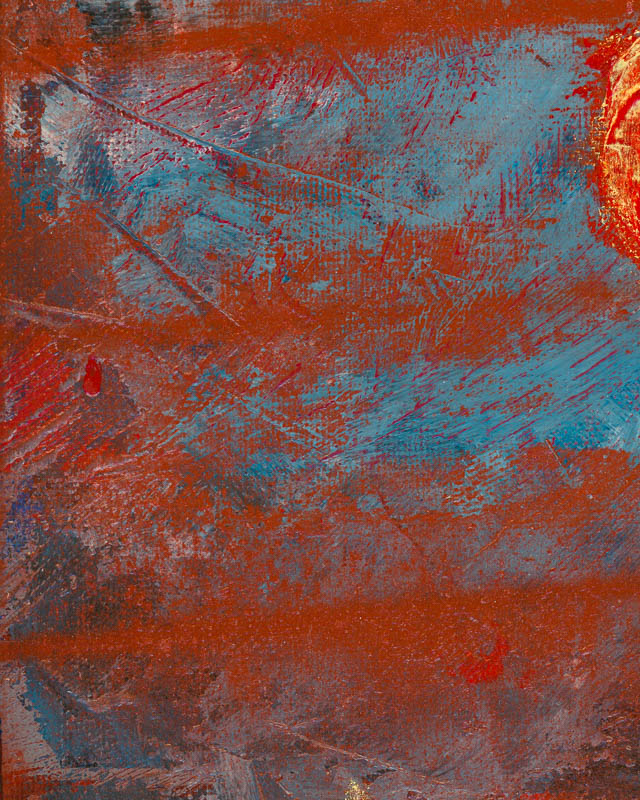 The canvas panel is raised off of the wooden backing board to give it a floating effect. The framed work is 13″ x 17″ x 2.5″. 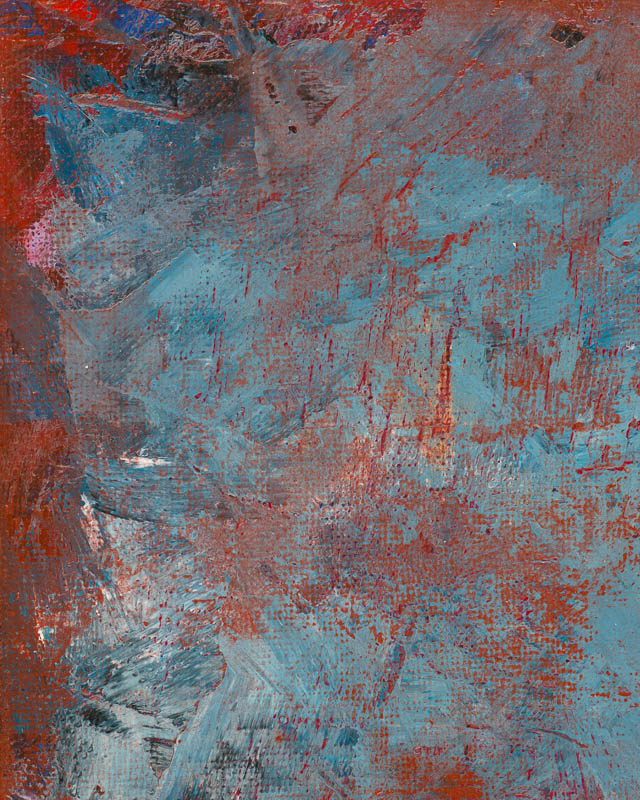 I have been experimenting with using builder’s chalk lines on my canvases. I’m the son of a carpenter, and I don’t know of any other artist using chalk lines in this way so it seemed like something fun to experiment with. 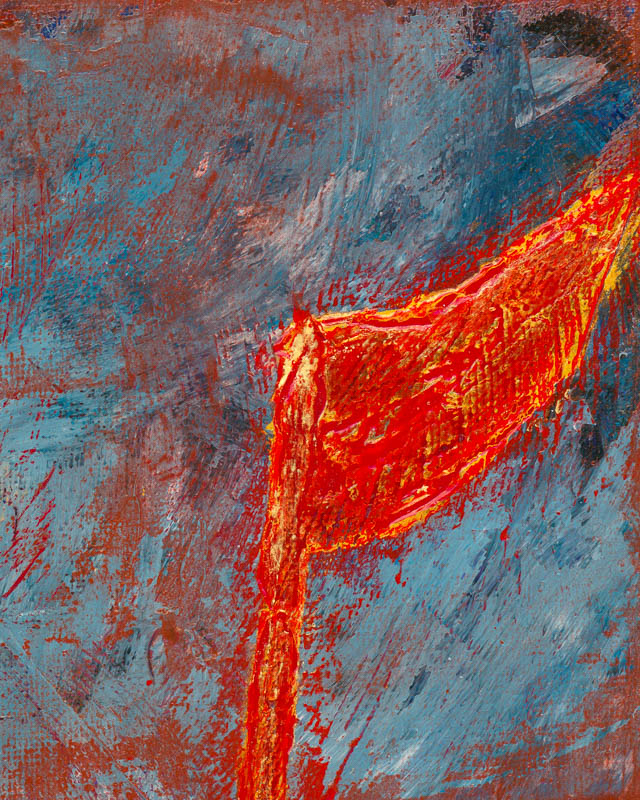 In this painting the red horizontal lines were formed by snapping a red chalk line across the wet surface of the painting which had been coated in either a spray glue or acrylic medium. 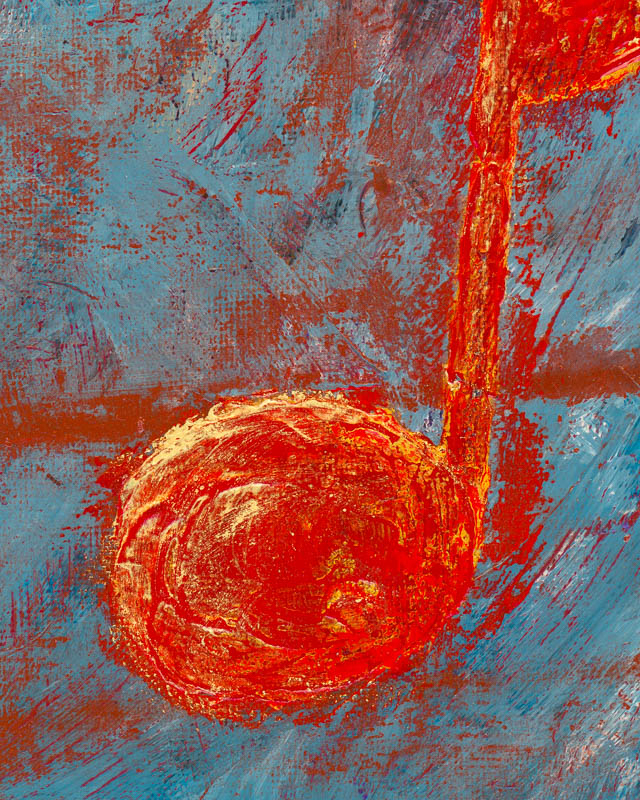 The red and gold note vibrates off the abstract blue background.